Black Warrior Review: Joanna, often, in grad school, we’re (students) reminded to keep our audience in mind while composing, revising, reciting our work. Can you identify your audience, as in, do you have a particular reader in mind when you write? Have you ever thought of abandoning your audience? For example, while reading Raptus I feel a bit voyeuristic (which I love!) in that I’m so clearly overhearing a very intimate conversation between poet and “you.” How is it that your readers access such an intimate relationship between the I and you? 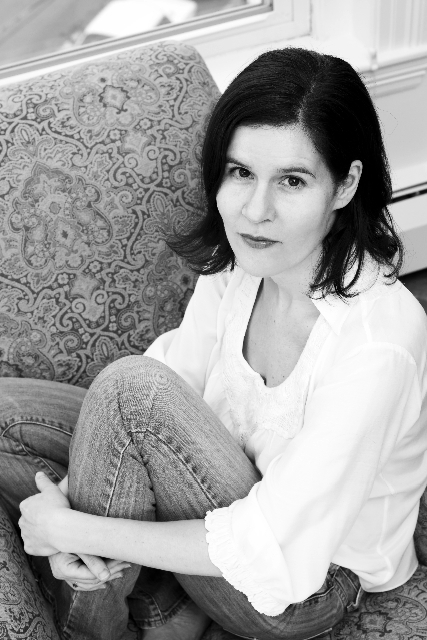 Joanna Klink: I don’t have a particular reader in mind when I write. But all of my efforts in writing are towards making a connection with him, with her…even if I tried I don’t think I could abandon that. I need the direction, the orientation. I’m often trying to fight my way out of an isolation that feels deadening, and if my language doesn’t break across that boundary, it falls flat, or creates a sound-pattern that carries nothing but sound. Then I’m just alone with myself again. What you’re saying about overhearing an intimacy, in Raptus—that’s one effect of writing poems that are autobiographical. I mean autobiographical and not personal, because there are so many great poems that are intensely personal (darkly felt, raw, wide-open to experience) without feeling autobiographical (laden with discrete details from one’s daily private life). Recently I’ve been mulling over Louise Glück’s poem “October,” from Averno—and when I step inside that poem’s world I don’t have to know what event gave rise to it (September 11th? a romantic betrayal? ), what violence it was, exactly, that changed her. All I have to know and feel are that she’s been harmed by life, and that, line by line, she’s trying to face and articulate the scale of that harm so that she might come to terms to with it. We participate in her coming to terms with it. The poems in Raptus fly straight from my private life, from a relationship that meant everything to me that fell disastrously apart. In writing the book I was aware that if I was going to include private details (“the funny Midwestern meals you cooked…your shrinking / penmanship new shoes / your smile the one that seizes at what’s / real. The laundry the prosody. The refusals / the constant generosities every desperate apology”), I had better be able to counter this autobiographical debris—which nobody but me has any reason to care about—with language that pulled in the extreme opposite direction, towards some experience we might have in common. In the end I’m not sure I was able to push back enough. But that was my intention. BWR: It feels appropriate to bring up this next question, since we’re discussing the idea of public vs. private writing. I mean, isn’t that one of the big questions with which writers/artists/people without inner dialogue have to grapple? What to reveal, what to keep to oneself? Along with this idea, the ‘public’ to which we’re exposed (media, our cities/towns, art, other people’s work) inevitably finds its way into our own writing. It has to. It is part of the record. Many of your poems, and all of your books, begin with epigraphs. What are your thoughts on stitching-in the words of those who perhaps influence the occasion of the line, the longer moment of the poem’s making? Also, in the back of Raptus you give credit to lines of work from other writers that you’ve incorporated into your poems. In these ways you seem to be carrying on a dialogue with your public. What are your thoughts on integrating this work of others into your own work? Any “anxiety of influence,” to quote Bloom? JK: You’re pointing out that I reveal (or decide not to conceal?) many of the occasions of my poems—those lines by other writers that sometimes turn up use as opening lines. I don’t think of my poems as carrying on a dialogue with a public so much as entering into a dialogue with a person. Rilke feels there, weirdly right there, when I’m reading the “Spanish Trilogy,” just as alive as C.D. Wright or Major Jackson or Doug Powell or Jeff Clark, whom I know to be breathing and bounding-around in various far-flung cities. I’m always amazed at how brazenly lyric language moves across that boundary of death. There are certain poets, like Keats, Dickinson, Whitman, Celan, who seem especially, eerily conscious that they’re speaking to readers in the future, as if they themselves were already dead. So: I often try to answer back to what’s just been spoken to me, when I feel someone is trying to reach me. When I wrote my second book, Circadian, I was reading everything I could find by the anthropologist Loren Eiseley, and there were so many phrases that blew me away, that were honestly life-altering—I wanted to make explicit not only that I was responding to him, but that it was worth it, for someone out there who might have the inclination, to track down those passages in their full context and hear more from the body that gave rise to the voice that spoke the phrase. I’ve been told that it’s unnecessary to include so many notes at the end of my books. Also that it’s naïve. As for the anxiety of influence, I can only say that it’s real, that I experience it in my own writing life. I have found that I’m more likely to credit Shakespeare or Creeley than I am to credit a contemporary poet whose work feels particularly threatening to me. The implications of this are beyond petty. To give you an example: I thought I was being thorough when I listed citations at the back of Raptus. But when I gave a reading at Bard College (Simon’s Rock), a student asked me why I had bothered to cite René Char and not Dan Chiasson. It turns out that I folded lines of Dan’s into the end of one of my poems. But not just any lines—the very final lines of his book The Afterlife of Objects, from the last gorgeous poem “Orange Tree.” It’s such an over-the-top “oversight,” the kind of thing that makes me wonder what else has found its way, wittingly or unwittingly, into my voice. Here are Dan’s lines. You can see why I love them. you heard, since you were there. BWR: I’d like to riff off of your last answer and ask you to speak a bit further (if possible) on this idea: “I’m always amazed at how brazenly lyric language moves across that boundary of death.” Here I’m thinking of Jack Spicer’s transistor radio & alien voices, Susan Howe’s ghosts–the idea of writer as medium, sieve, being to whom the voices speak. Does lyric language belong to us, to any writer in so much that a writer can claim authorship? Are we/you receiving these messages, bits of language, lines, words from a word-cloud floating somewhere in the universe? JK: I don’t know. My sense is that lyric language belongs to anyone who is open enough to receive it. When I read, I try to put myself fully into the poem’s world as it unfolds before me. When I write, I try to put myself fully into the poem’s world as it takes shape, as it comes into view. In both cases I’m not in charge. In both cases it’s not useful to think that I’m in command of anything. If I get too caught up in my own authority, I stop being able to listen, and in the realm of poetry, if you can’t listen and lean in with your senses, you can’t feel. And if you can’t feel, you can’t be changed by the words. Can you speak of your work in Raptus, which is deeply personal, sometimes scathing (“My Enemy” poems), in accordance with this quote? What is, in your opinion, the work of a poet today when working through what is inevitably a private idea by employing the public medium of language? I’m thinking about Celan’s sometimes-impenetrable poems and his sense of language as a record that isn’t necessarily accountable to the reader’s experience? How does a poet give enough to “let the reader in” to their experience? Is that what’s even at stake here? I’m interested in the dynamic between private language and the ultimately public arena of the poem. You seem to be sculpting the material of this dynamic quite well in Raptus. Also, would you like to speak a little bit about your Celan project? JK: Wait a second—I don’t think Celan would ever say that poetic language isn’t “accountable” to the reader’s experience. He desperately wanted to reach readers, and he says so in a hundred different ways in his meta-poetic prose texts, his interviews, and in poem after poem. He didn’t think that poets had some special status that allowed them to burrow into their own experience at the expense of a reader’s understanding. But he did feel, as many artists feel, that it takes time to understand certain works of art. You have to be willing to surrender to the art’s terms, as a reader or viewer, in order to access its powers. That doesn’t mean you’re excluded. On the contrary, it means a great deal is asked of you. Part of what I’m suggesting in my Celan book is that difficult apostrophic poets are trying on so many levels at once to engage with a reader that the “picturable” surface of the poem starts to disintegrate. If, as you read, you can learn to stay inside that world, as it seemingly splinters apart around you, you will be positioned to receive its messages. You have to undergo disorientation in the service of reorientation. You have to read any given poem again and again. You have to read the early work through the late work. You have to live with it the way you would live with an utter stranger: patiently, with curiosity and determination, despite your own aversions and fears, believing there is worth, but that it won’t necessarily come to you in ways you anticipate. And then, after a few nights, weeks, months, years, you might arrive at a place where something seems vaguely recognizable and familiar, in the midst of the strangeness of that person’s language (this is the subject of Celan’s “Meridian” speech). One day you might find yourself repeating a phrase that made no sense—and still might not be fully comprehensible, but there it is, calling upon you, inside your lungs and throat, shaping the way you live that moment, mattering. When that happens, many things become possible—and one of them is being able to feel something you had previously thought of as alienating or inhuman turn into something human. For a poet like Celan, that is what’s at stake. It’s not about “letting the reader in,” but about poet and reader, two strangers, leaning into each other, despite the weirdness of the terrain and its constant frustrations, locking together in the long effort to speak and receive. The stakes are not small. As for Celan’s famous declaration that language remains secure against loss—yes, he believed that. But in his late poems you also sense his distrust of language, the texture of very specific betrayals. He felt that lyric language must reinvent itself to avoid being corroded by propaganda, by lies, by clichés that require nothing of you—no thought, no feeling. If you believe that language has the power to make you new, to fundamentally alter your perceptions, your experience, you must also believe that its worn-out forms eat away at your experience, deaden you, keep you from having experience. Celan’s re-inhabiting of the German language, with all of its warped darknesses and music, is a dazzling example of recreating the terms by which we might live. And so stay “reachable” to one another. BWR: Any final words to a poet? Any final thoughts/hopes you have for the trajectory of poetry? Call to arms? JK: No, no call to arms. But I would say—in the midst of this grotesque moment in American life, where we’re abandoning people who are suffering, pulling away services from those who are poor and vulnerable in the name of fiscal “responsibility”; in the midst of a climate that is weekly bringing more floods and fires; in the midst of a dementedly money-obsessed culture, art is still there. People are reading and writing poems, with urgency, and also with humor and vision and the need to understand. My teacher Allen Grossman once wrote me a note, in response to something that upset me, saying “Let us see things as prosperous.” I think you need some reserve of hope to make art.